People who’ve followed my strange blogging career know that I have a real soft spot for the nutjob 1973 sci-fi flick Invasion of the Bee Girls. 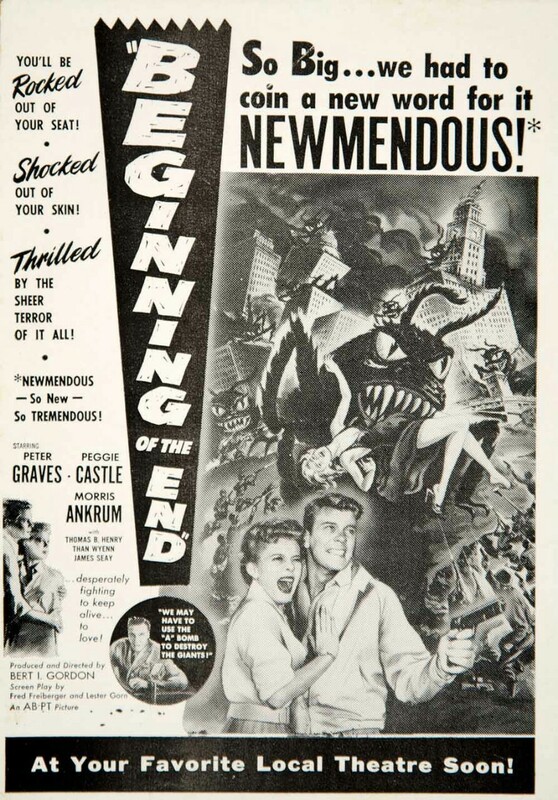 Its delirious mad-science transformation sequence was the subject of one of my early guest posts over at ErosBlog and I covered the subject again in my Thaumatophile Manifesto. @Grindpod Just listened to Ep. 10, my first. Fun podcast, guys! Now I can only hope someday you'll do Invasion of the Bee Girls. @EroticMadSci Thanks for listening! We have Invasion of the Bee Girls on the list of films to do in the near future. It will happen. Hot damn! The guys snark it up good (Invasion is, fundamentally, a bad movie…) but enjoyed every minute of it. Thanks, guys! I enjoy this podcast immensely, and think many people who follow this blog will as well. Show these funny, hardworking podcasters some love, guys. Add the Grindbin Podcast to your podcast app of choice, or visit their website, or follow them on Twitter. It will be fun. 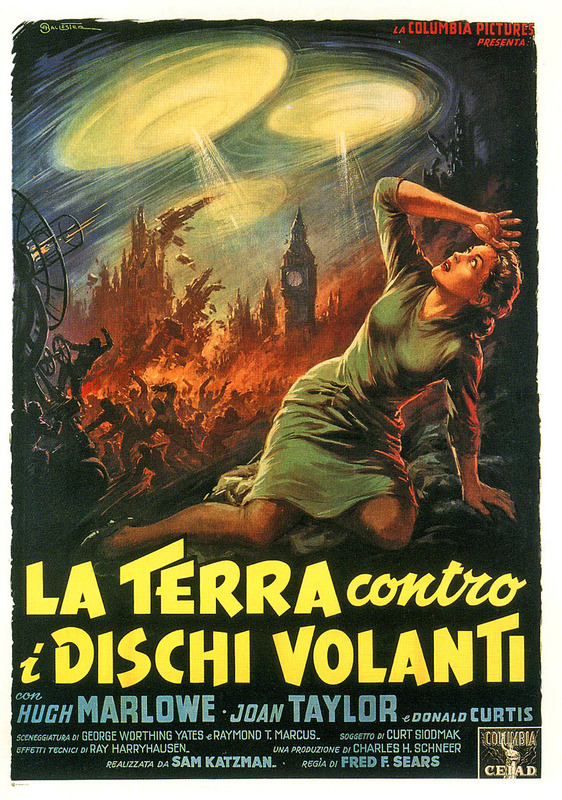 An Italian-language poster for Earth versus the Flying Saucers (1956). Original post here. Sourced to Steve Niles Tumblr via pencilofdoom. A photoset of animations! Original post here. Jean Rogers as Dale Arden in Flash Gordon (1936). One of the best damsels ever. An appropriate prop for a movie directed by the appropriately-initialied Bert I. Gordon. You can see the movie get the MST3K treatment here and see the original post here. Forrest Ackerman visits Joy Harmon’s over-sized bust prop made for “Village of the Giants” 1965. 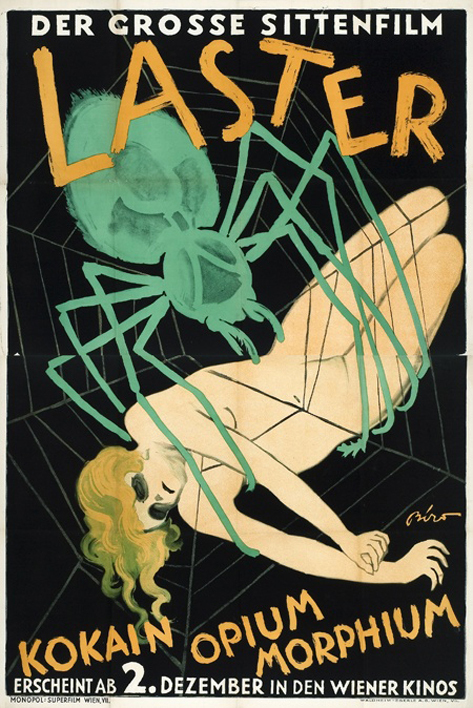 An early drug scare-film? Original post here. A photoset. The last photo in the set makes the monster look almost cute. Original post here. 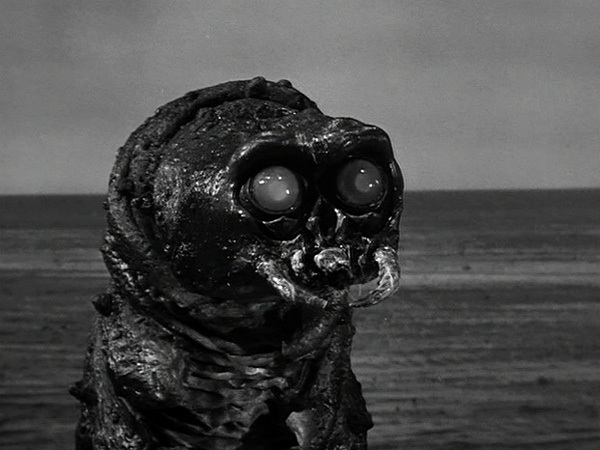 While certainly not a classic The Monster That Challenged the World (1957) was not horrible, and we did get to see a lot of Audrey Dalton.